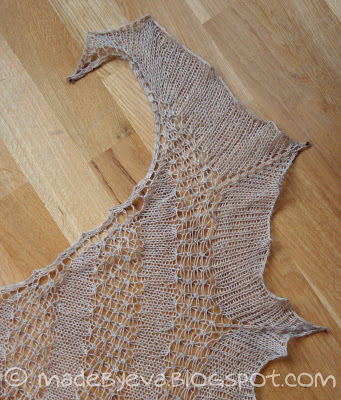 Some time before christmas I was fishing for hints on what I might knit for my mother for christmas. 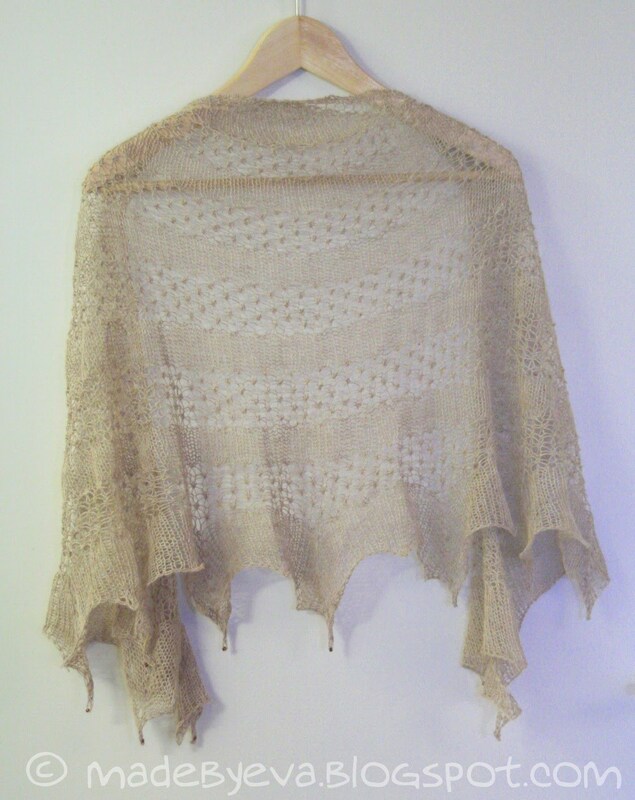 The information I gathered was: a shawl in a neutral colour, not too big, and it should be able to double as a scarf. So I went hunting on Ravelry and came up with one shawl after another, each recipe more detailed than the next. And then along came Kleks. :) I knew instantly that this clean and simple design would be perfect. - Now, this design is simple, but curious. The lace sections are actually inside out - what you're seeing is the reverse side of a stitch pattern I've seen referred to as the raspberry stitch. 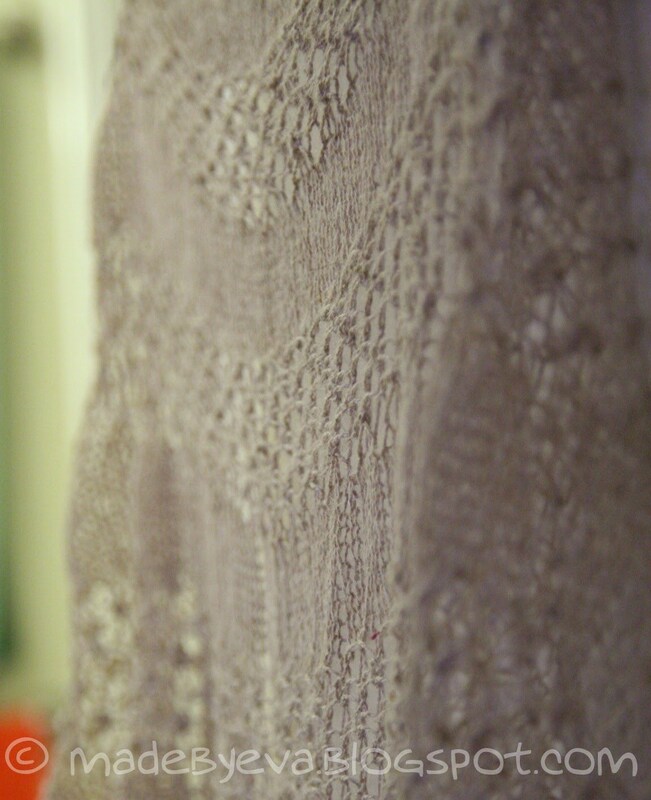 I really like how this creates a striking contrast between the smooth stockinette sections and the rough, knobbly lace sections. The image above is the best I can do in trying to show you the effect. It's one of those details that provides that little extra kick to a simple design, elevating it over the rest. On the other hand, the pattern has major flaws. There are mistakes that clearly came during its translation from Polish to English, as well as other inaccuracies, especially concerning increasing the stitch count. 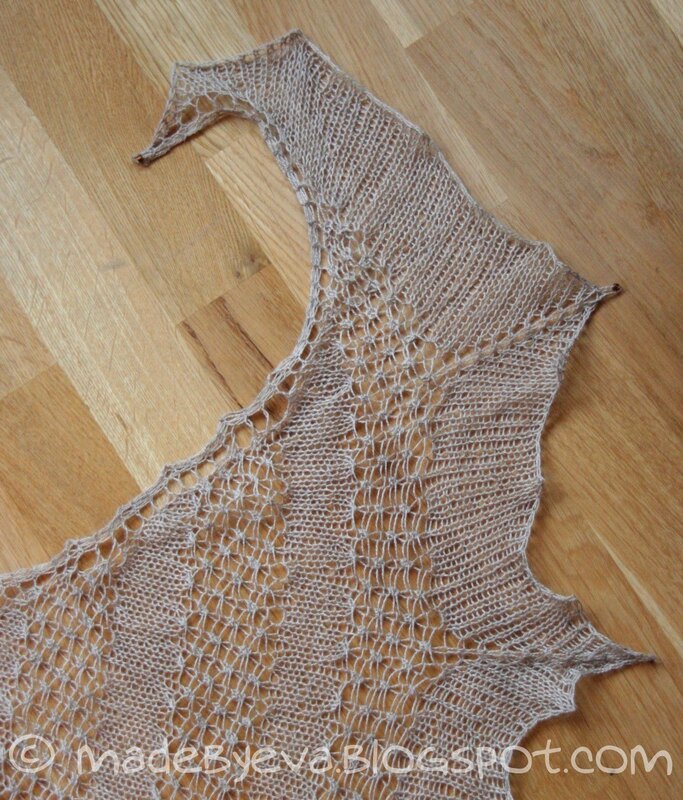 Even with the helpful tips from other Ravelry users, I haven't been able to achieve a clean line with the perfect amount of increases. 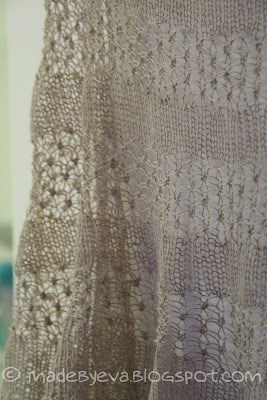 I'd think twice about doing this shawl again, even though I like the general design. 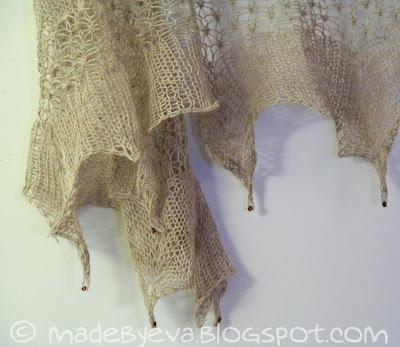 - The technique I used to elongate the shawl gives some dramatic effects at the corners. When the shawl is worn, this part hangs in pretty folds. 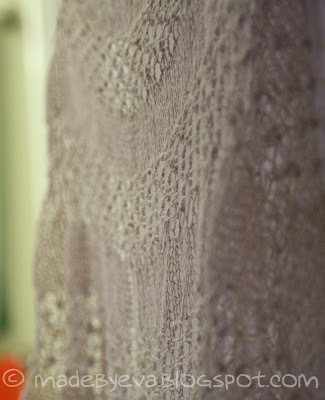 Details are on my Ravelry page as usual.